Are you attending ICE and LAC 2019? 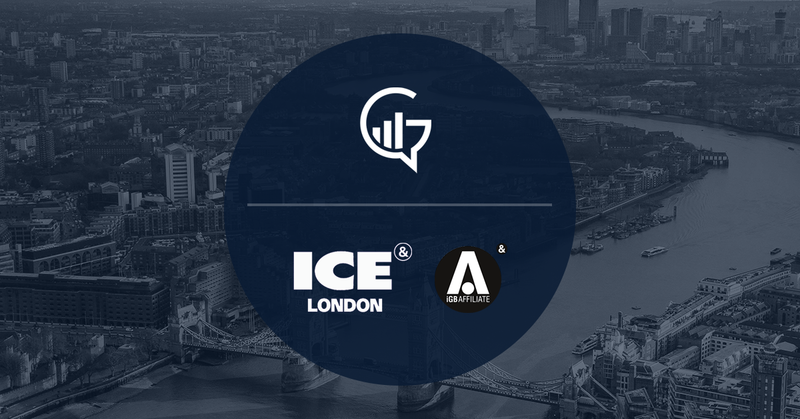 The Growth Gurus team is flying over to London to attend the B2B gaming event where more than 400 different companies from around the world will connect and present their products and solutions. This year, we are incredibly excited to see some of our past and present clients exhibit at the ExCel in London. Take a look at some of our fantastic clients, who can be found on the exhibition floor. Enteractive was founded with the mission to help iGaming operators reactivate churned players and get them back in the game. Visit stand N9-252 to find out more about their innovative (Re)activation Cloud Service, designed for comprehensive player reactivation. Ganapati, a fusion of Malta and Japan, will be launching their brand new GanaEight Coin, which is an unprecedented, transparent approach to creating value through a Blockchain Platform. Head over to N7-440 stand to find out more about the evolving sphere of Online Casinos and Blockchain. iGaming Academy enables companies to comply with regulations and allow for industry professionals to stay at the top of your game. They will be exhibiting and can be found stand N7-333! The team behind two of Malta’s biggest conferences will be at ICE. With preparation for SiGMA 19 and Malta AI and Blockchain Summit 2019 is well underway, be sure to get in contact with them to find out more about these fantastic events. Based in Malta, E&S group are a group of companies and an associated group of legal advisors who offer a full array of legal, corporate, tax and advisory services required by companies in Malta. Leading games studio Push Gaming will be exhibiting at ICE showcasing their brand new game content for online and mobile casinos. Visit stand N6-234 and prepare to be amazed by all their fun and exciting games! BitStarz is a trendsetting online casino which provides state of the games and a truly global experience. Find BitStarz Casino at stand F32 at the LAC conference! Industry veterans Amanet by Amatic will once again be proudly displaying their innovative games at ICE. You won’t want to miss their extensive portfolio of cabinets, multiplayer systems and server-based video lottery terminals. Find them at stand S4-240. Are you looking to grow your iGaming Business? iGaming businesses are constantly looking for ways to leverage data and create adequate strategies to acquire new customers and prevent churn. We would love to sit down with you to discuss your business and how we can help you get the most out of your marketing budget. Feel free to get in touch with Josh for a chat on how we can help you stand out & make a lasting impression on your target audience.